We are building a shopping experience based on the charm and values of an English Village. In Evening Shire, you will find characters, stories, unique gifts, tutorials and some really nice people. We are passionate about building a community of artists and entrepreneurs, and we believe that anyone who puts themselves out there to share their ideas and creations, deserves to be seen. Our inaugural shops include a knitting accessory shop, a specially design gifts shop, a general store, a jewellry shop, a card and book shop and a memorial shop. Evening Shire also has a beautiful garden where you can take a stroll through the beautiful flowers. We invite artists to join us in Evening Shire. Learn more about renting a shop today. So come back often or subscribe to our newsletter, The Evening Shire Council Minutes, to stay informed about all the news in Evening Shire. It was a Spring day in Evening Shire. Fine and dry with scattered clouds across a bright blue sky. The air was cool, and smelled of growing things. Jayne poked her head out the shop door: across the lane Betsy, the herbalist, was partially hidden behind a hawthorn bush humming to herself; lace curtains fluttered out the front windows of Odds and Bobbs; and looking down the way, Evening Shire’s window boxes were such a riot of color, each seemed to be in competition with the next for loudest trumpeter of Spring. Primroses, cowslips, and yellow rock roses spilled from shop windows into the lane. And every tree bore the bright green of new birth. Pulling a chunky red jumper over her head, Jayne called out a muffled, “I won’t be gone a moment!” towards the back of the shop, and headed up the Canterbury road. Peter’s reply, “Where are you going, woman?” was lost to her. It's Spring! Spring is slowly coming to Evening Shire. Enjoy these beautiful touches of spring. If you have a 500px.com account click the hearts to give some love to these photographers. Happy Dydd Gŵyl Dewi Happy St. David's Day to all in Evening Shire. This is our mayor's, Jennifer, favorite day. To celebrate we, our garden is filled with daffodils. to explore in Evening Shire. We are looking for artists and entrepreneurs, who want to be part of a new way of sharing your creations. We want artist who value community and communication. We know it is hard to get traffic to your Etsy store or Website. You know you have a great product. It’s just so hard to get it to the people who will buy. 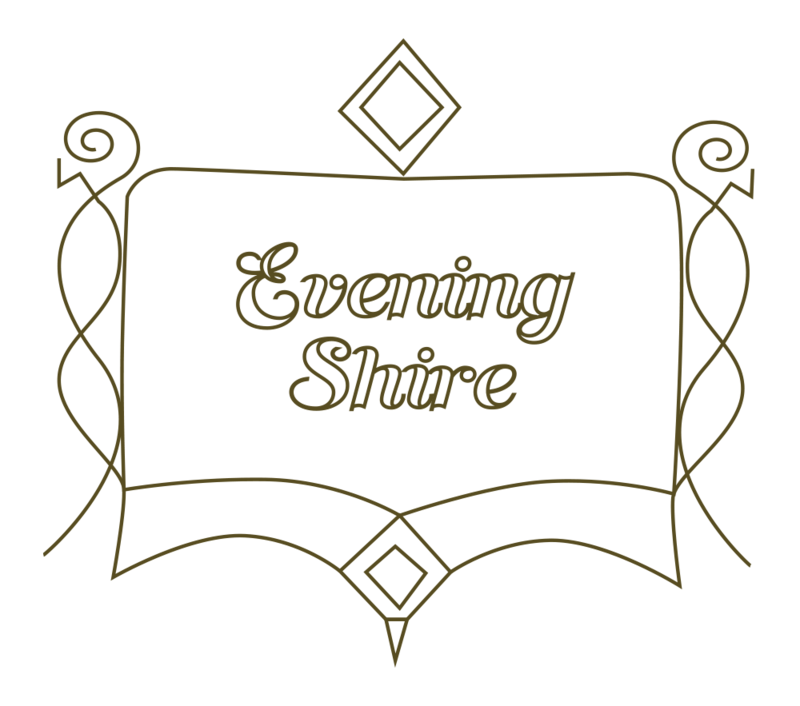 Become part of the Evening Shire Community and together we can share your creations with a wider audience. We want to hear from you. Share your stories and your dreams. Let us know what you would like to see in our stores. Or tell us about an artist that inspires you. Our door is open come on by and say hello.